The McDonalds' company has stated that more than 100 checks are being carried out simultaneously by the Russian authorities at its restaurants in various parts of the country. "Currently, checks on over 100 McDonalds' restaurants are being carried out simultaneously," the company said on its website. The checks have already led to the temporary closure of 12 of them: three in Moscow, one in the Moscow region, four in Krasnodar, and two in Sochi, the company said. Restaurants in Yekaterinburg and Stavropol have also been closed. "We are studying the essence of the complaints to decide what steps to take to ensure the swift reopening of our restaurants to visitors," the company said. 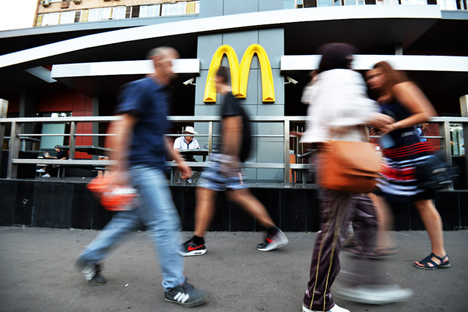 On August 20 Rospotrebnadzor suspended operations of three McDonald's enterprises in Moscow, including the first one to open in Russia in 1990 at Pushkinskaya Square. The work of McDonald's outlets was suspended after the inspections, during which the sanitary service registered numerous violations of sanitary and consumer rights legislation. Rospotrebnadzor experts for Moscow opened cases on administrative offences over the violations found. The McDonald's chain is being checked in a number of Russian regions. According to the regional department of Rospotrebnadzor, inspections of McDonald's outlets have taken place in particular in Yekaterinburg, Chelyabinsk, Petrozavodsk, Tatarstan, Veliky Novgorod, Saratov, and Kaliningrad. Checks are planned to be carried out in other cities as well. On Wednesday, the Tverskoy District Court of Moscow ordered the temporary closure of the restaurant in Malaya Bronnaya Street and in Manezh Square. The Ostankino District Court ordered a 90-day closure of the branch in Prospekt Mira. The McDonald's chain includes over 430 branches in Russia, over 100 of which are in Moscow. In 2013, the oldest McDonald's in Russia on Moscow's Pushinskaya Square was among McDonald's top ten branches in Europe in terms of turnover.